This will be a grand week, with both of the benefic planets (Jupiter and Venus) moving into new signs. Read on to find out how your cosmic luck is about to change the week of July 13-19, 2014, and see what's going to happen in your near future with a Timeline Tarot reading. On Sunday, Mercury will change signs first, moving into receptive Cancer until July 31. Communication becomes personal with Mercury in Cancer, and your memory will be razor sharp. Don't be afraid to make decisions with your heart and your mind. Venus in Gemini and Mars in Libra will also be at a perfect trine on this day, allowing love to flow. 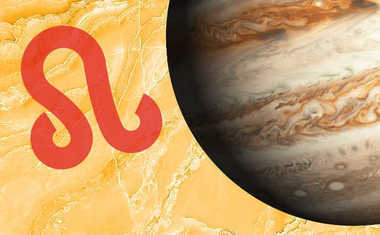 On Wednesday, Jupiter, the planet of expansion and abundance, will move into Leo, where he'll remain until August of 2015! This will be an incredible year to shine your most creative self. 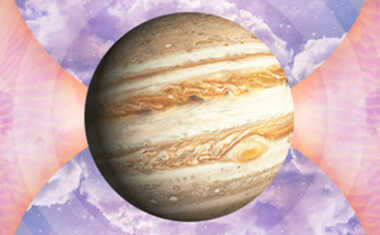 Love, pleasure and children will bring you extra joy and blessings with Jupiter in Leo. Open your heart! On Friday, Venus enters tender Cancer and remains here until August 12. Matters of the heart become deeply personal and security driven with Venus in Cancer. If someone feels like family, you're more likely to be willing to nourish a relationship. If your security buttons are triggered, however, you'll retreat into your shell. On Saturday, Mercury will trine Neptune, allowing imagination to flow. Work on a creative writing, music, art or a film project now. Intuition will also be heightened. Use it! The Sun in Cancer will also rub elbows with Mars so be careful not to act against your own interests.